music: Split Personality | Arts and Culture | Style Weekly - Richmond, VA local news, arts, and events. 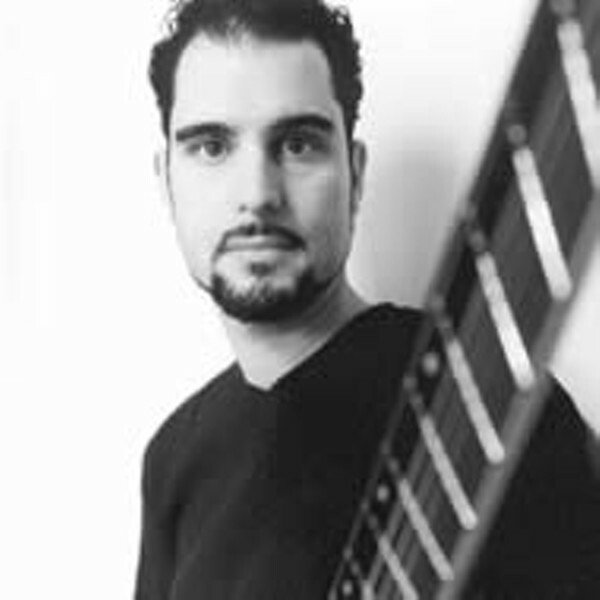 Playing guitar and bass at the same time puts Charlie Hunter at an advantage in the originality department. And you can't tune out; you really have to be there. And when I was their age I wasn't ready to be there," Hunter says by phone while cradling his cooing newborn in his Brooklyn, N.Y., home. Hunter, 35, isn't a music snob. He's just a jazz musician who's interested in covering new musical territory. He's released nine albums, exploring new sounds on each  often by playing with different combinations of musicians. His acid jazz, or jazz-rock, post-bop or fusion, or whatever you want to call it, comes out of jazz music but is also influenced by R&B, Latin, Brazilian and African music. Hunter says he takes his cues from people he admires like Miles Davis, Thelonious Monk, John Coltrane  "people who were always evolving their music to make a personal statement." That's why he plays a custom-made, eight-string guitar: It allows Hunter to play guitar and bass parts simultaneously. He's interested in musicianship foremost, and although he's been playing his hybrid instrument for 10 years, he says, "I'm just starting to really develop a sound of my own." The better he gets at his instrument, he says, the less he relates to the guitar. Instead, Hunter takes a lot from organ players, who also play both bass and melody. His specially made instrument, which has three bass strings and five guitar strings, is technically difficult to play. "The left is kind of the conception hand, and the right hand is the execution hand," he explains. "The thumb on the right hand is playing the bass, fingers playing the guitar, plucking. The left hand is this very, very difficult theory of combinations you have to make  while one finger is playing the bass, you have three fingers free for maybe a millisecond to play the guitar; as you're going back and forth you really have to juggle all those things and keep the time going, as well." No wonder he sits while playing. What could seem like a disadvantage to some  that Hunter can't pay full attention to the guitar or to the bass  is actually an advantage for him, because of his mission to constantly explore new sounds. "It means I can't fall into the same traps of clichés that [guitar or bass players] fall into; it's a brand-new game." Although Hunter says there aren't a lot of gigs open for 8-string guitarists, he's appeared on albums with Les Claypool, D'Angelo, political rapper Michael Franti and jam drummer Stanton Moore. But primarily Hunter is the organizer more than the contributor, writing all the parts and pulling together jazz musicians he wants to play with. On his 2001 release, "Songs from the Analog Playground," he experimented with adding vocals with the help of Norah Jones and Mos Def. Currently, he's playing with drummer Derek Philips and sax player John Ellis. Hunter says he loves to play with the quintet he formed for his new album, "Right Now Move," but that it's too difficult economically to travel with that many people. For now, he's going to try to evolve the trio sound. Yet there's a lot more than just three instruments in this trio. The sax player doubles on the bass clarinet, flute and Wurlitzer keyboard, while the drummer does "all this crazy human beat box stuff," Hunter says. Hunter also plays a Brazilian tambourine called the pandeiro. But he says he has enough on his plate with being a dad and trying to figure out how to make a living playing music to take on any other instruments. Charlie Hunter Trio will play the Carpenter Center, 600 E. Grace St. (opening for the String Cheese Incident) on Wednesday, April 16, at 7:30 p.m. General admission tickets cost $30 and can be purchased at www.sciticketing.com or by calling (303) 544-5875.